With sales plummeting, major nameplates being cancelled and the world collectively switching to crossover, the modern sedan is fading toward irrelevancy. It’s about damn time. Good riddance. Now, I’m not a big fan of crossovers, but they make sense. In theory, there is a buyer who needs increased ground clearance in a hatchback form factor, whether for ease of entry or dealing with rough terrain. There are a ton of downsides to the current crossover-apocalypse. We’re losing small cars, many of which were fun or affordable to buyers in ways bigger and always more expensive crossovers are not. It’s a bad situation for how we finance vehicles, and for fuel economy. And driving dynamics are scientifically better when cars are lower to the ground. None of this changes the fact that the three-box sedan doesn’t make sense. Because while automotive journalists love to ramble about how crossovers are just more expensive wagons, we miss the fact that sedans are nothing but wagons with acres of wasted space. Why, when designing a vehicle, would you draw a jagged line that slices out the cargo area? I hope not for style, because sedans are no more inherently appealing than wagons or hatches; two boxes or three, it’s the detailing that matters. So if not for style, why a trunk rather than a hatch or liftback design? Some say they prefer the security of a trunk. What a miserable existence they must have. If your prime motivation for car purchases is a fear that street miscreants will shatter your glass and steal your porcelain ferret collection or whatever it is you keep back there, then I don’t envy you. Plus, you’re worrying over nothing. If you consider a sedan trunk more secure than a cargo area, you’re either operating under the impression that it’s easier to spot valuable things to steal in a cargo area, it’s easier to physically to physically break into a cargo area, or it’s too easy for people already in the car to access the cargo area. The first point is immediately nullified by the fact that every single crossover, hatch or wagon I’ve reviewed comes standard with a cargo cover for the back. The second point passes a first-glance look, but if you’re willing to break glass on a car it’s just as easy to break the front window and access the trunk release. The third point is fair, if you’re at a point in your life where you’re often transporting people who make a habit of stealing from you. In that case, you’re allowed to get a sedan. But for the rest of us, there’s no logical path that leads to a sedan. If you want practicality but you don’t care about ground clearance or all-wheel drive, wagons are the obvious choice. Crossovers are the obvious choice if you want more clearance, while true SUVs and trucks hold up the operation with extreme capability. Ah, but you want dynamics and styling? Well, done right, wagons can do these jobs just as well. Look to the Mercedes-AMG E63 S Wagon for further proof; a hatch needn’t compromise your dynamics. Ah, but you want a truly beautiful design. Well, you won’t find that in a sedan either. Coupes are the pinnacle of design, and in most cases, for performance as well. And if you want all of that but you’re bald and play golf, you can get a convertible. So that leaves sedans. So who should buy those? The unimaginative, I’d imagine. It’s tradition at this point. We buy sedans because we’ve always bought sedans. We settle for boring three-box designs because that’s what we take to be the default. But we don’t have to. We’re seeing that play out now, as the crossover tide swells. To stem the flow, automakers are doing what they should have done a long time ago. 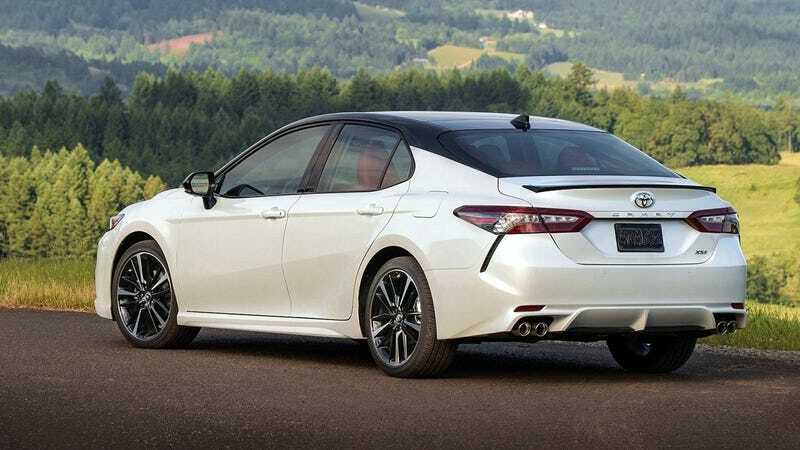 They’re making sedans less like sedans; liftbacks, “four-door” coupes, and fastback designs are commonplace, from the new Accord to the Buick Regal. Even wagons are making a comeback of sorts in America, albeit a small one. Good. The regular sedan deserves its fate; not an exciting execution, but a boring and slow death in quiet irrelevance. A death representative of the sedan’s existence. Naturally, some traditional three-box designs will soldier on, even as the crossovers consume all. That’s fine. There still needs to be cars for the people who worry that their back-seat passengers are stealing from them.